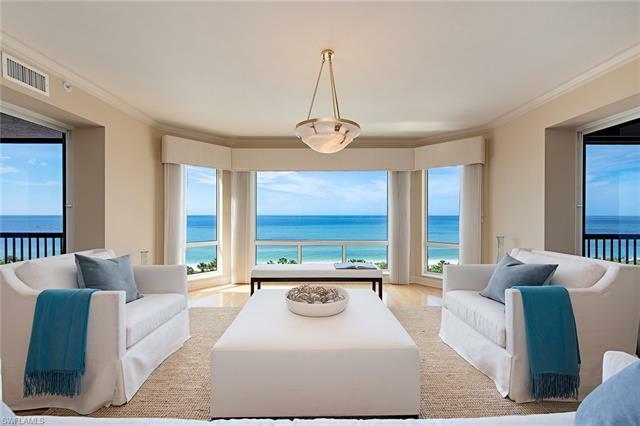 Like a breath of fresh air, this Biltmore beach front 3 BR, 3BA residence located in the privately gated community of Bay Colony has been renewed with a Contemporary Coastal flair. Watch Gulf waters kiss the shoreline and birds soar across the estuary from the spacious thru-view floor plan with 3 balconies, floor-to-ceiling glass sliding doors and high impact glass bay windows. Additional features include, 9-foot ceilings, light wood flooring, 2 new A/Câs and 2 parking spaces in secured garage. Biltmoreâs stunning Transitional-style Lobby and Amenities Level offer24 hour manned reception desk, plush guest suites, Social, Board and Billiards Rooms, excellent Fitness Center, resort-style pool and spa. Pet friendly building. Private Bay Colony Beach and Tennis Clubs included. Golf membership available separately.